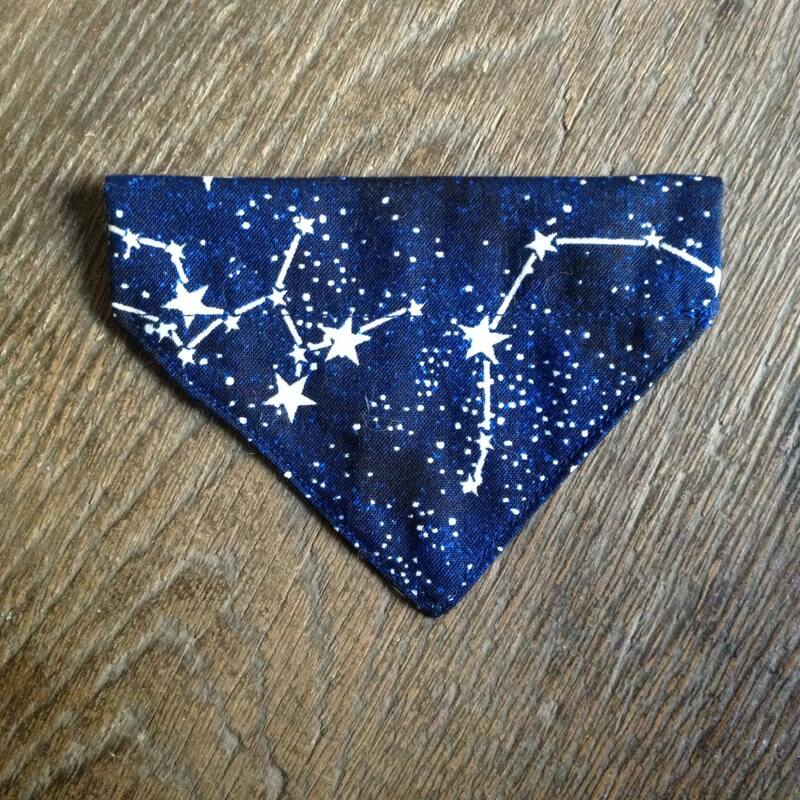 This glowing in the dark Stars bandana for cat collar is hand-sewn. 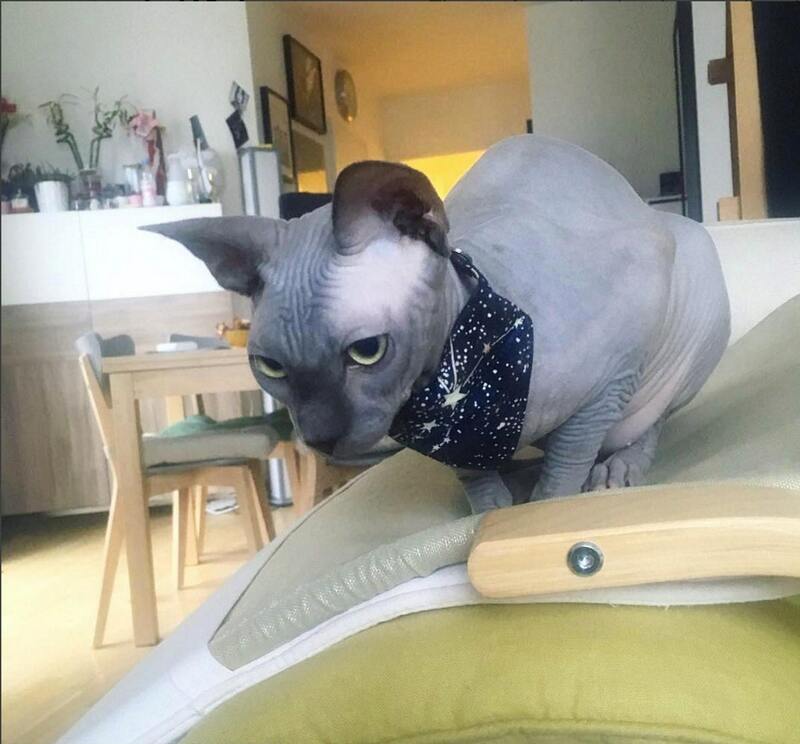 It is to be slipped on a 1 cm wide cat collar (3/8" wide). 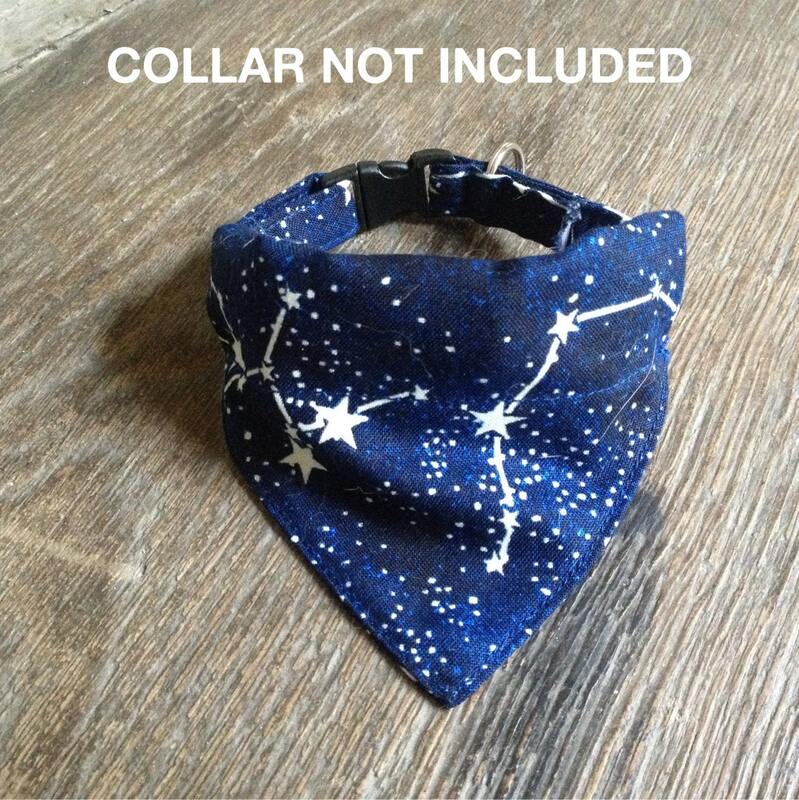 TIP : it is easier to slip the collar in the bandana with the male part of the buckle first. 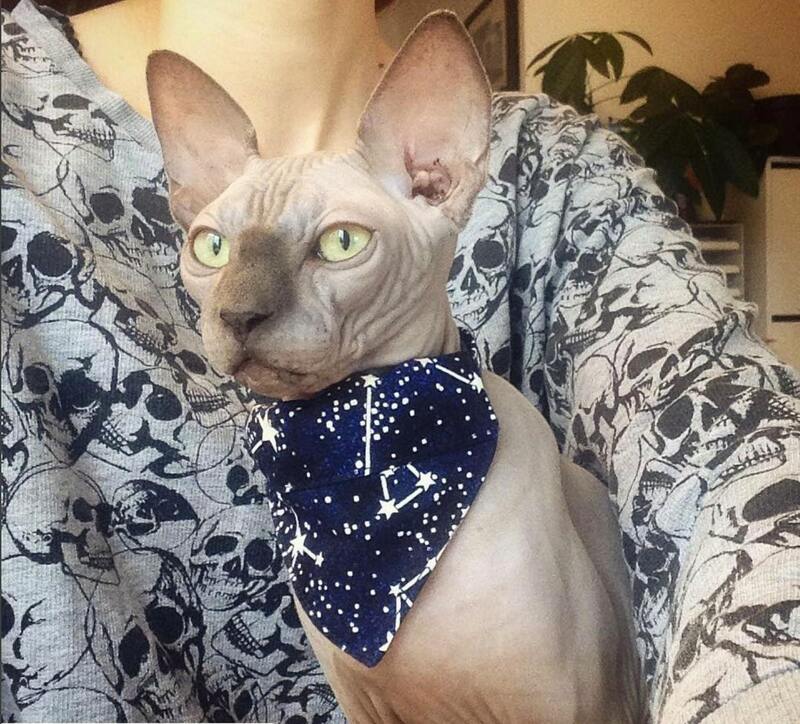 Fantastic bandana! I absolutely love it! Very well made and shipped out quickly. Thank you very much! 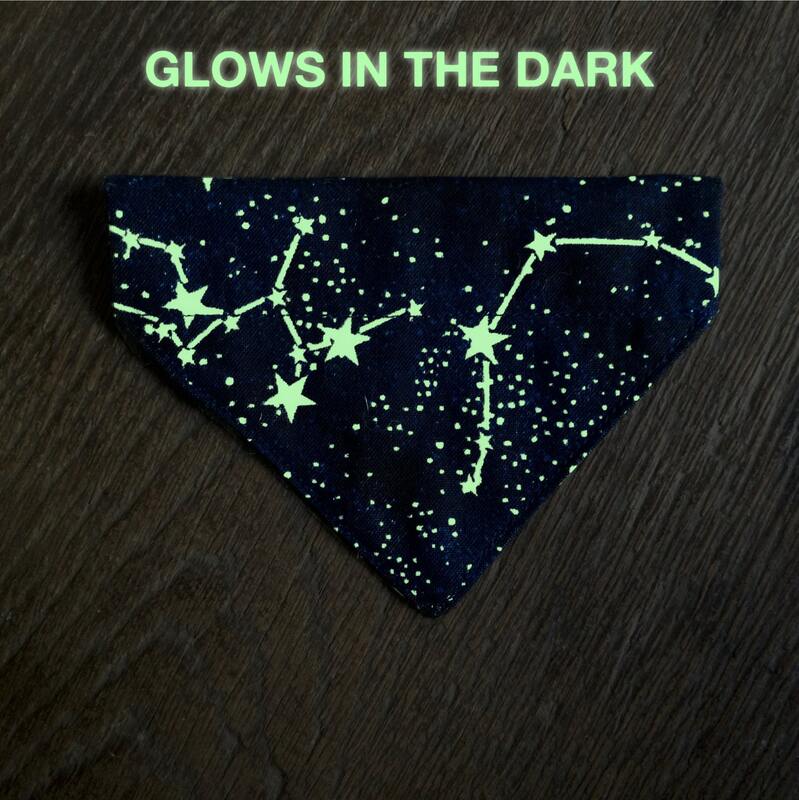 Glowing in the dark stars cat bandana: item is absolutely perfect, my kitty looks awesome in it. It shipped in time. Well made and strong fabric. Its perfect! Leo looks so cute in it! Thanks!